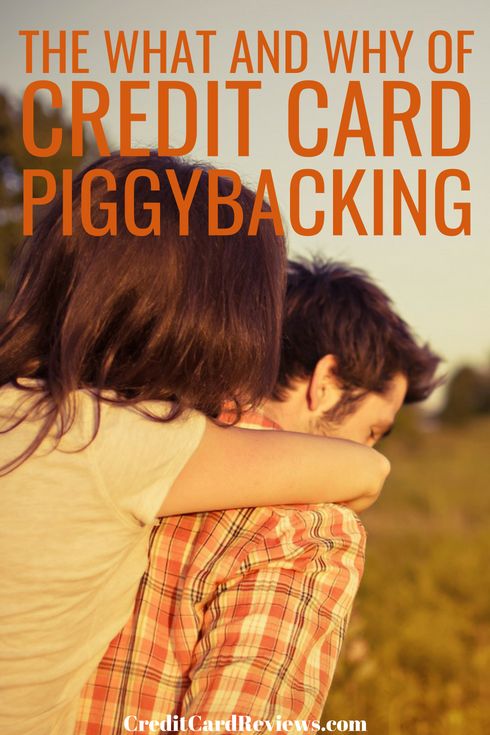 You may or may not have heard the term “piggybacking” before, in relation to your credit cards. However, if you’re looking to build your credit, you’ll probably want to learn a bit about it. Credit card piggybacking is the practice of hopping onto someone else’s good-standing credit card account as an authorized user, in order to build your own score. As they continue to responsibly manage their account, youy credit score will reap the benefits… the same as if you were a joint accountholder. This is a great solution to the common catch-22 of building credit: you have to have credit in order to build credit. It’s difficult to get a credit card (or a number of other accounts, like utilities and even a cell phone) without a positive credit history established. Of course, you can’t even establish that much-needed positive history without, well, someone giving you credit to begin with. In order to piggyback, you need to have someone with excellent credit habits who is willing to let you on the account as an authorized user. This can be a parent, sibling, significant other, or close friend. The relationship doesn’t matter, just be sure that they are both willing to add you to the card and that they are responsible with their account. One great thing about being an authorized user is that you don’t actually need access to a physical card. You can be added to the account without a card being sent in your name, and you don’t even have to make a purchase in order to reap the benefits of piggybacking. Once you’re added to the card, the company will begin reporting the account’s status to the credit bureaus, attaching it to your name as well as the primary cardholder. This means that as long as the cardholder is maintaining a low (or zero) balance and paying on time each month, you’ll begin to see your positive credit history grow. Most credit card companies automatically report a card’s account status to credit bureaus on behalf of authorized users. However, this isn’t the case for all, especially if the primary cardholder isn’t your spouse. If the primary cardholder is your spouse and you’re added as an authorized user, the account information should be reported each month to the credit bureaus. If it’s not, you should give the card issuer a call and let them know that you and the primary account holder are married; they should be able to easily change the notation on the account and begin reporting on your behalf. 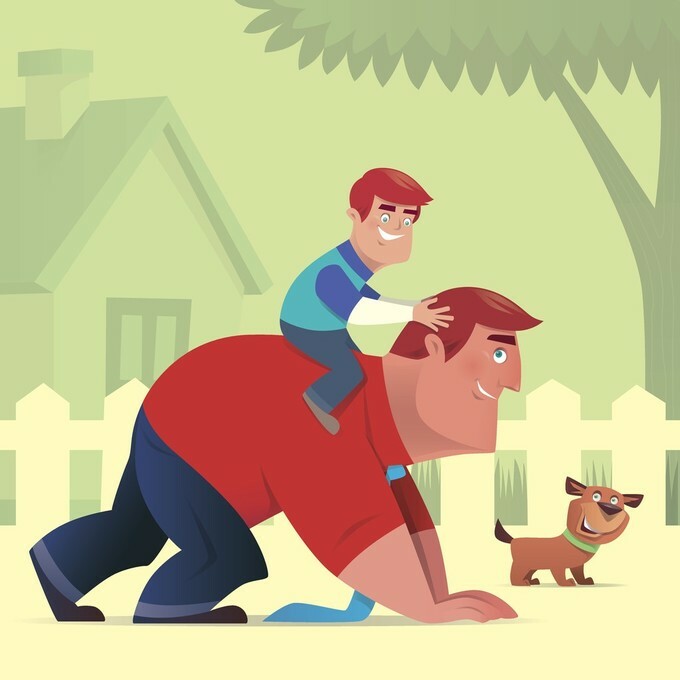 There are a few things to keep in mind if you plan to utilize piggybacking for a credit report boost. First, it’s important to realize that all of the primary accountholder’s activities will impact your credit. While this is great if they have excellent habits – after all, that’s why you’re considering piggybacking in the first place – it can be very bad if their habits take a turn. If the primary cardholder suddenly racks up a high balance or pays their bill late, you could actually see your credit score drop. If your credit history is already sparse, this negative report will have a much greater impact for you than it will for even the primary cardholder. Second, it’s important to remember that anytime you mix family or friends and money, you have the potential for issues. If the primary cardholder isn’t your spouse or a parent, it may be wise to forgo getting an issued, physical card altogether. That way, you never have to worry about charging your own purchases and the problems it could cause. Lastly, if anything were to ever go south – either with the account’s management or with the cardholder on a personal level – you can always call the issuer yourself to be removed from the card. Even if you don’t have the card number available, they can look you up by your social security number in most instances. If something were to happen and the cardholder can’t (or won’t) remove you, it’s good to know that this option exists. Oh, and you should know that as an authorized user, you aren’t responsible for debts incurred to the account. So if the cardholder defaults or runs up the balance, you can’t be held liable for their charges (though, of course, it’ll impact your credit history). Credit card piggybacking is a great, easy, and quick way to give your credit score a little boost. Keep in mind, though, that it only works if you jump in on an account that is responsibly managed, with someone who has excellent credit habits. Piggybacking the right way can build your credit, immediately improve your debt utilization ratio, and provide you with a monthly history that doesn’t even require you to spend money. Just make sure that you use the account of someone who is trustworthy and with whom you have a healthy relationship, and be sure to manage your own actions on the account responsibly.